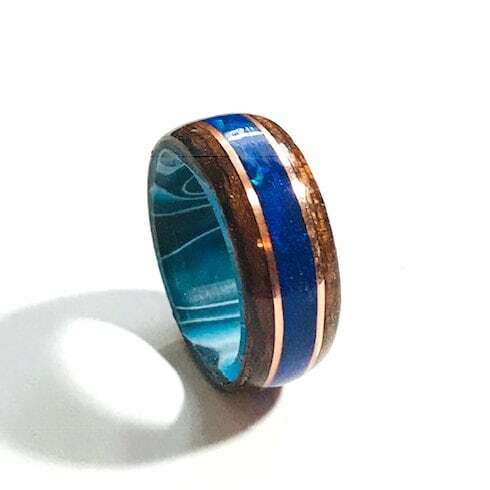 West Africam Etimoe wood wrapped around a blue swirl resin core and lab created Pacific Sapphire Crushed Opal inlay enclosed between two bands of copper. This band is available in approx 8mm and 10mm width (10mm shown in pics) with a lightweight and comfortable fit. 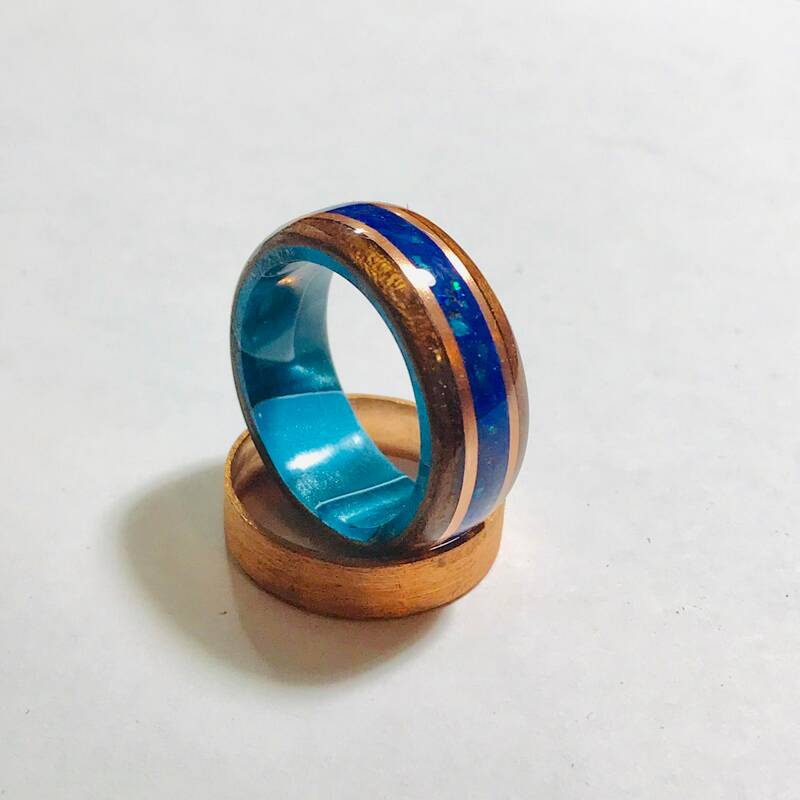 Each ring is custom milled from a solid wood piece to your ring size using a jeweler's mandrill. The wood is then shaped and polished. The wood is then encased in a strong acrylate, making a waterproof and scratch resistant and ready for daily wear! We handcraft your ring to your specific size, please be sure your ring size is accurate! If a ring is damaged in transit it can be returned for a full refund, we however, cannot accept returns on rings with a misstated size from the buyer. We recommend having a jeweler check your size prior to purchase.